UHomes @ 90 Antwerp Street is designed to precisely meet the lofty goals and aspirations of the RFP by responding directly to creating a mixed income community that includes many family oriented units and features, creatively enhancing the public realm with a contextually sensitive and contemporary design scheme, innovatively offering an energy efﬁcient, sustainable and green development that is LEED “Gold” certiﬁed and generously providing a high quality public pocket park for the beneﬁt of all neighbors. UHomes @ 90 Antwerp Street proposes a compact, ﬂexible and environmentally sustainable building design, the program of which consists of 20 residential units approximately 21,500 gsf +/- with 20 on-site parking spaces, bicycle parking, trash and other service spaces spread over a collection of small buildings and a main block along Antwerp Street. 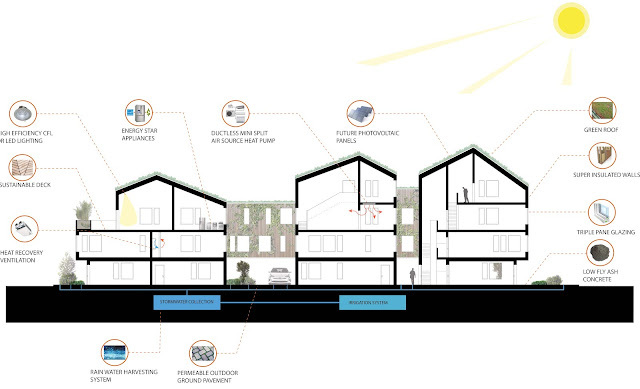 In essence, the design proposal is conceived as a small village clustered around an internal street. A circulations spine threads these elements together and uniﬁes the overall composition. The unit types proposed will be four (4) 1 bedroom, six (6) 2 bedrooms and ten (10) 3 bedrooms units. 80% of all units are 3 bedrooms or 2 bedrooms with family-oriented features like ample storage spaces, efﬁciently laid out bedrooms and bathrooms, large kitchens (particularly for the 3 bedrooms units), in-unit laundry and individual dedicated parking spaces. Building solutions like ERV, air ﬁltration, low VOC paints, cleanable and easy to maintain ﬂooring surfaces, large generous windows that allow generous light and air will signiﬁcantly add to the user comfort and quality of life of all residents, young and old. 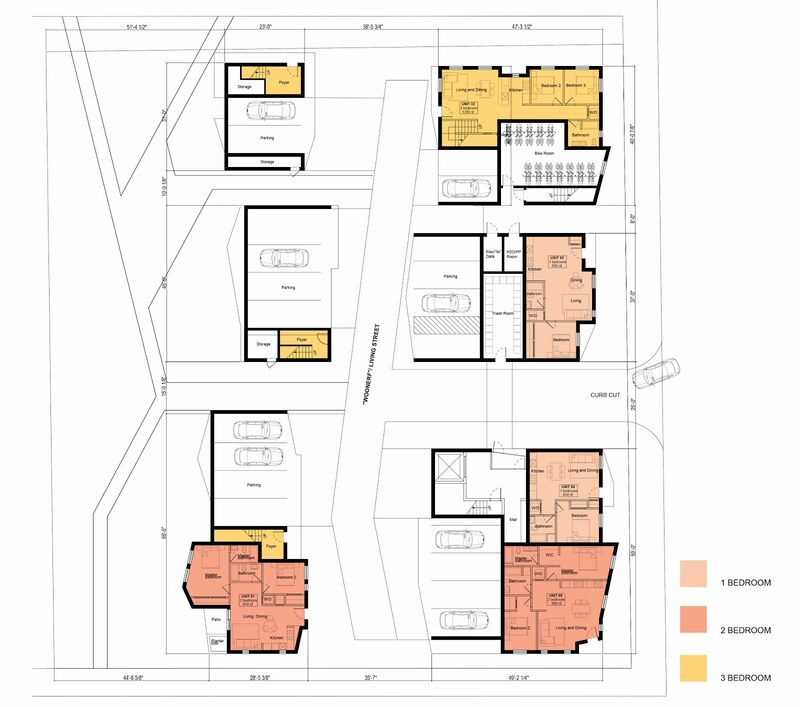 This proposed unit mix will help remediate the shortage of family sized units in the market. 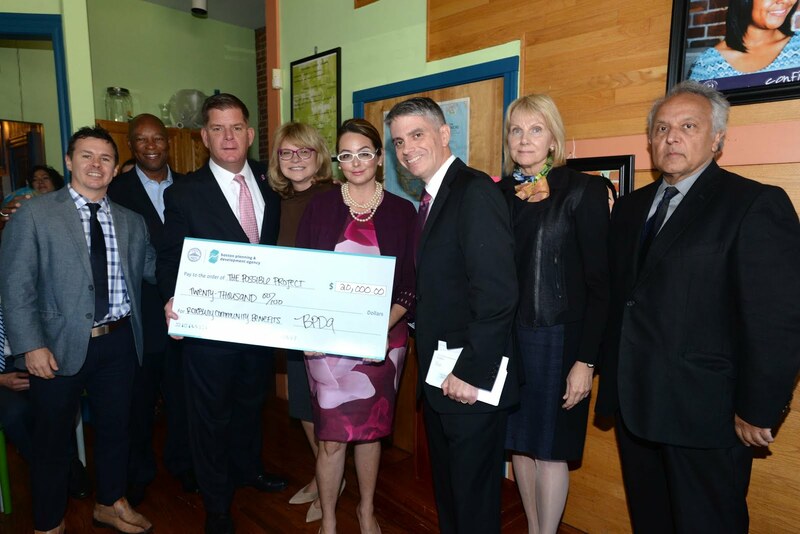 This project also aims to provide quality housing opportunities for a variety of income levels in the City of Boston and help households being priced out of the Allston/Brighton neighborhood. 60% of all units, i.e. 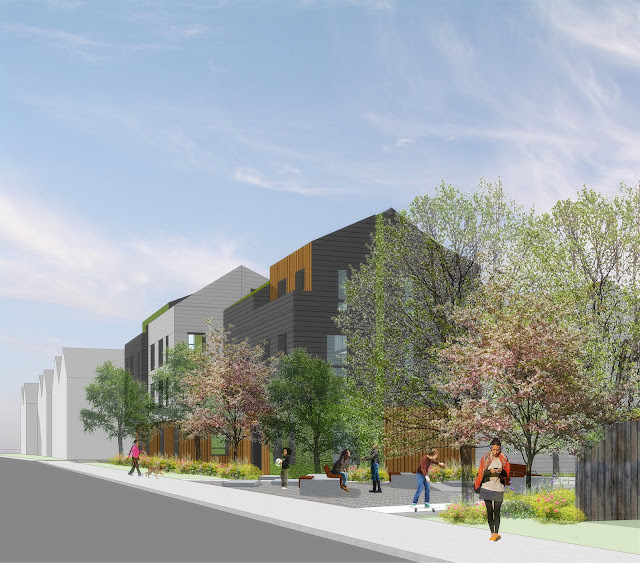 12 units, will be deed-restricted as affordable units. 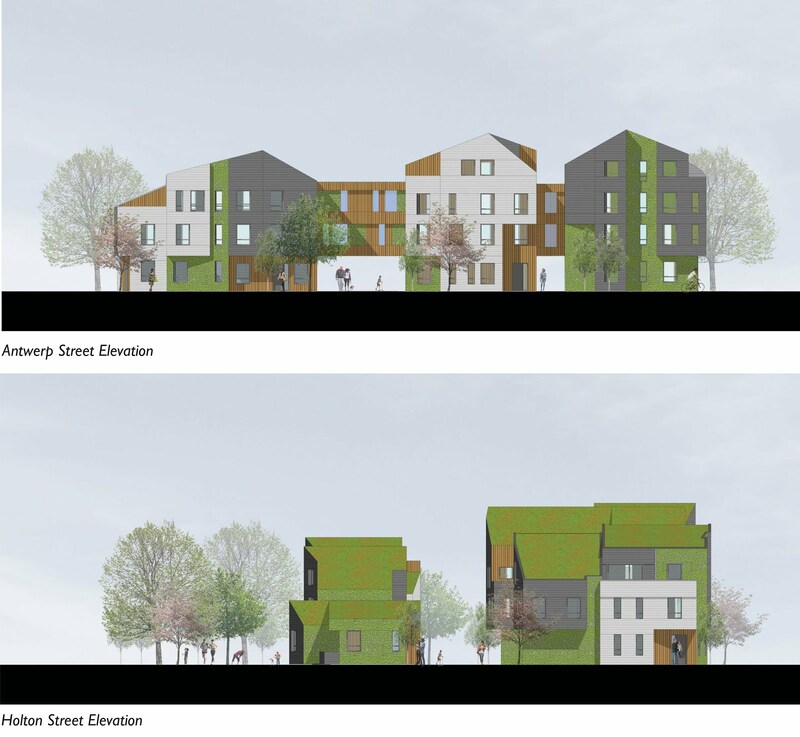 UHomes @ 90 Antwerp’s contextually sensitive design is integrated into the streetscape by blending the new and the old. 90 Antwerp’s design is contextually inﬂuenced by the existing architectural characters of the surrounding homes. Elements of texture, color, roof shape, window proportions, angular bays, balconies and entries are carefully and sensitively crafted to offer a more contemporary interpretation of a 21st century residential building. 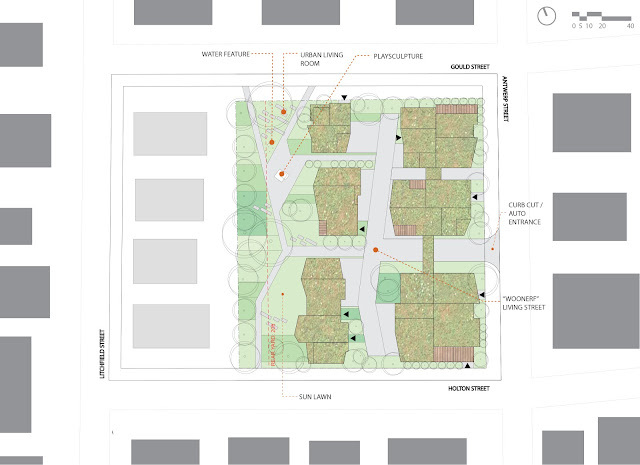 The proposal will allocate 50% of the lot for Open Space. 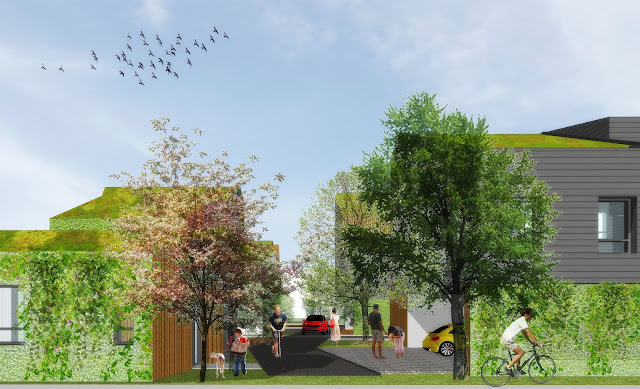 This consists two components – a Public Pocket Park and a “living street” inspired by the Dutch concept of a “Woonerf” that combines parking, landscaping area, pedestrian paths and other passive residential uses. 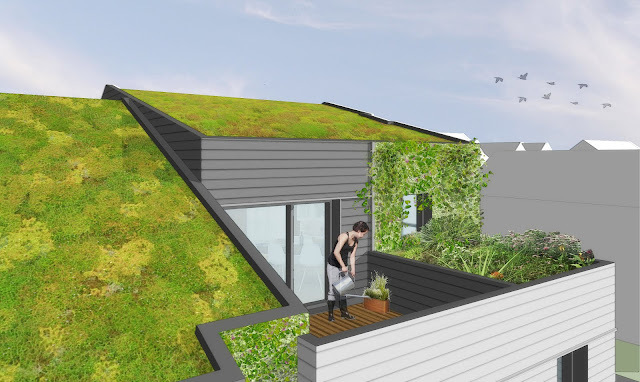 Besides, the roof will be covered with a green roof tray system and a selection of walls will also be green wall trellis systems. For a number of units, there are also balconies, planter boxes and patios. 90 Antwerp Street is designed to be LEED for Homes Gold Certiﬁable status. The Home Energy Rating System (HERS) score is targeted to be at least an average HERS 50 range +/-. The project embodies an approach that reﬂects its context as well as reduces its environmental impact through a combination of active and passive strategies. The project is energy driven, and as such, specifications support the goal of maximizing energy efﬁciency by reducing the loads demanded by the home. UHOMES LLC has formed partnership with Peabody Properties, Inc., who will be acting as the property manager for the residential units. Peabody Properties is the property manager for Charlesview Residences, a mixed-income community next to the project. Meanwhile, UHOMES LLC plans to work with an open space/public park conservation organization such as The Trustees / Boston Community Gardens, a non-proﬁt organization specialized in preserving, expanding and improving urban open space. 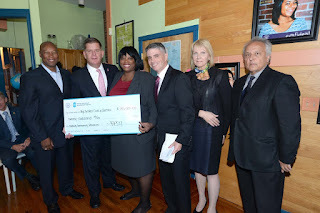 UHOMES LLC will also work with the City of Boston and the neighborhood to develop a comprehensive open space program that would best suit this unique location. Please click here to find more information about this RFP and review UHomes' full proposal. Please send Gerald Autler (the Project Manager at BPDA) your support for the UHomes/Urbanica proposal. 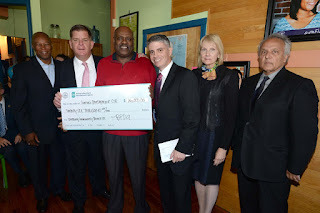 As part of the community benefits created by the Melnea Hotel + Residences project, $400,000 was contributed to community organizations in Roxbury on October 12, 2017. 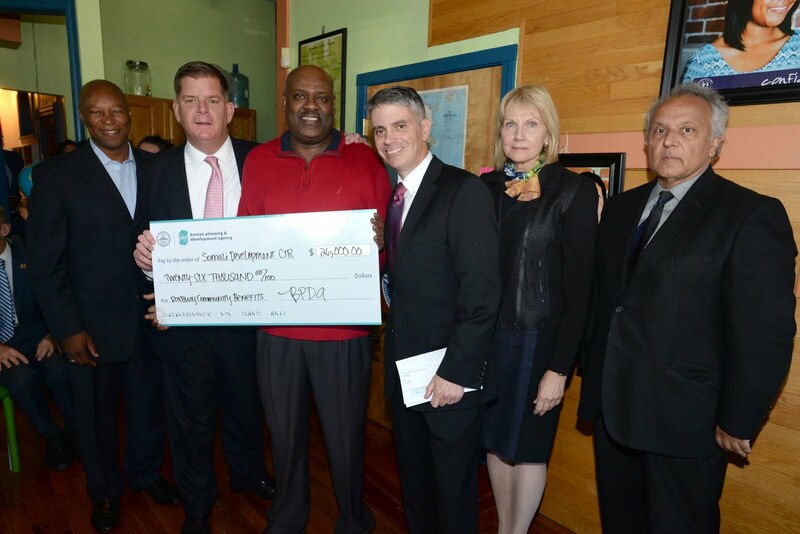 Mayor Martin J. Walsh, accompanied by officials from Boston Planning & Development Agency (BPDA), presented 12 community-based organizations with the community benefit funds for workforce development initiatives for Roxbury residents. Kamran Zahedi, President of Urbanica Inc., participated this event with great honor. In addition to contributing the funds, the Melnea Hotel + Residences project will bring new jobs and affordable housing to the area. 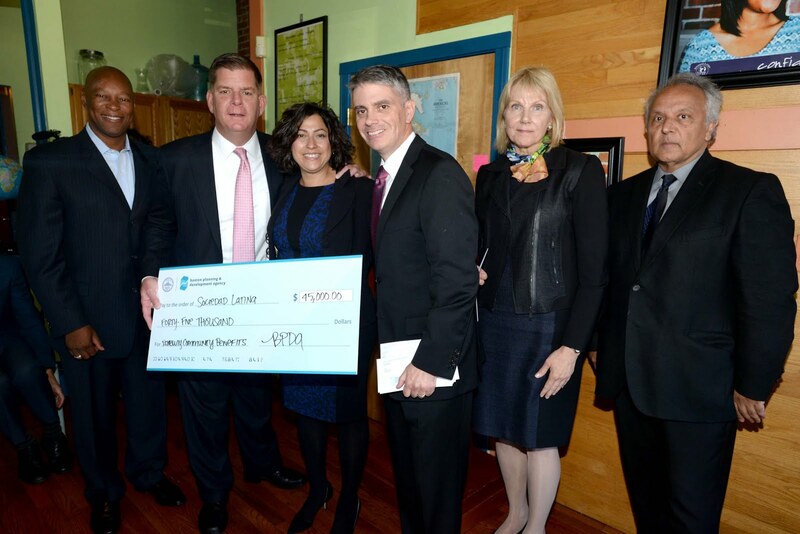 Urbanica is pleased to see how development can empower communities.